New Flammarion book is a Delicious and Delirious and Divine Guide to the Sweetest Temptations in Paris. 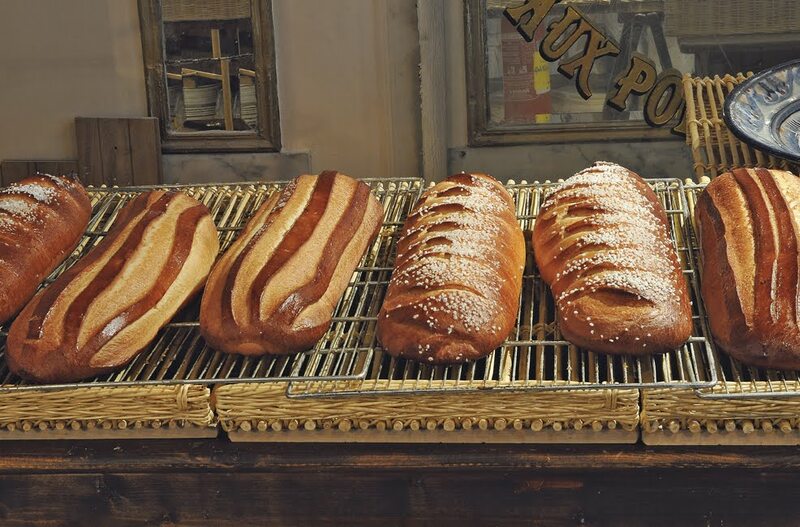 Paris has the best pastries and bread in the world. 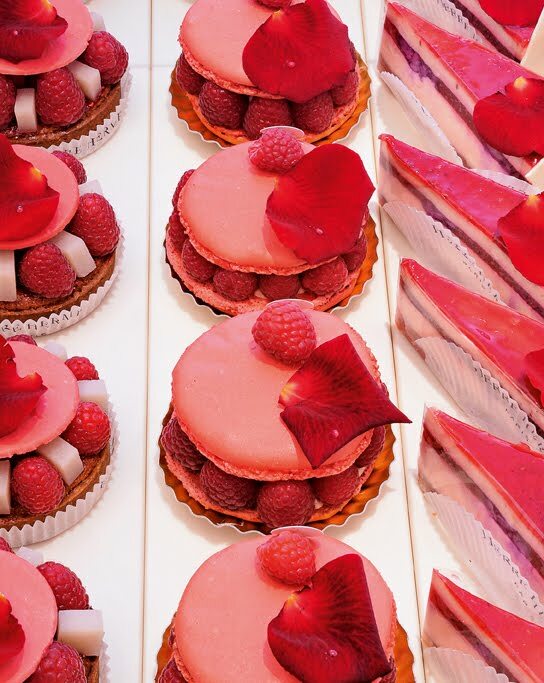 In Paris, pastry-making is devotion, an art, a higher calling. The chefs are creative—and their clients are equally obsessed. It’s all part of the wonderful French Art de Vivre. I’m so pleased to recommend the new ‘Paris Patisseries’ from Flammarion, just out. It’s a superb depiction of the top patissiers and their sugar-infused treats. I go to Paris to conduct interviews and to continue ongoing research—and that is my focus. But the book reminds me that I am also rather passionate about certain pastries, special flavors of macaroons, and talented patissiers. Take Pierre Herme, for example, who is in the book. 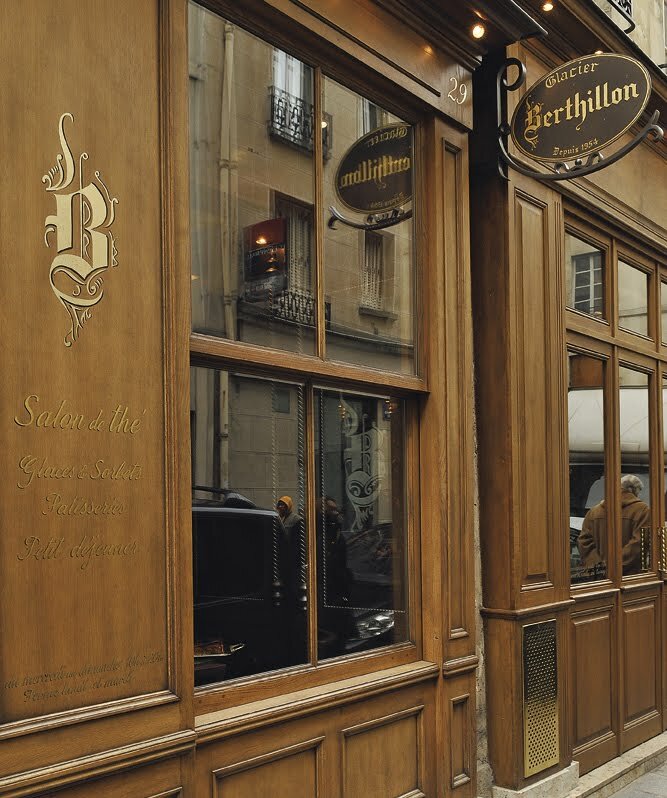 When I first arrive in Paris, my first excursion (after heading over to Les Deux-Magots for a croque-monsieur) is a hop and a skip along rue Bonaparte to Pierre Herme’s popular and praised patisserie. It’s a temple of sweet seductions, really, a salon of surprise and delight. Arrayed along the counter are his newest creations, his ‘Cherry on the Cake’ cake, his fruit tarts, his macaroons, his chocolate bars, even jars of jam. It’s a kind of ecstasy to be there. Herme, who also has a shop in Tokyo, is one of the brilliant talents on show in this beautifully illustrated book. 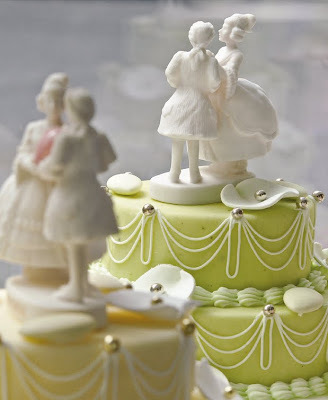 He’s highly creative, playful, and always inventing new cake decorations to tempt and dazzle. 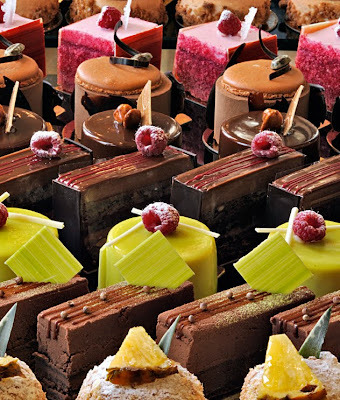 I am very (very) familiar with many of the top patisseries—Pierre Herme, Laduree, Amgelina, L’Arpege, Berthillon, Philippe Conticini, Delmontel, Fauchon, Le Bon Marche, Gerard Mulot, Lenotre, Poilane and the Plaza-Athenee among them. 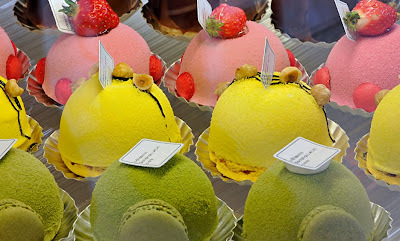 I visit Laduree on rue Jacob once or twice a day (sometimes just to admire the windows as I walk back to my apartment), and Pierre Herme is an almost daily pilgrimage, perhaps for a macaroon or a cake for a special occasion. 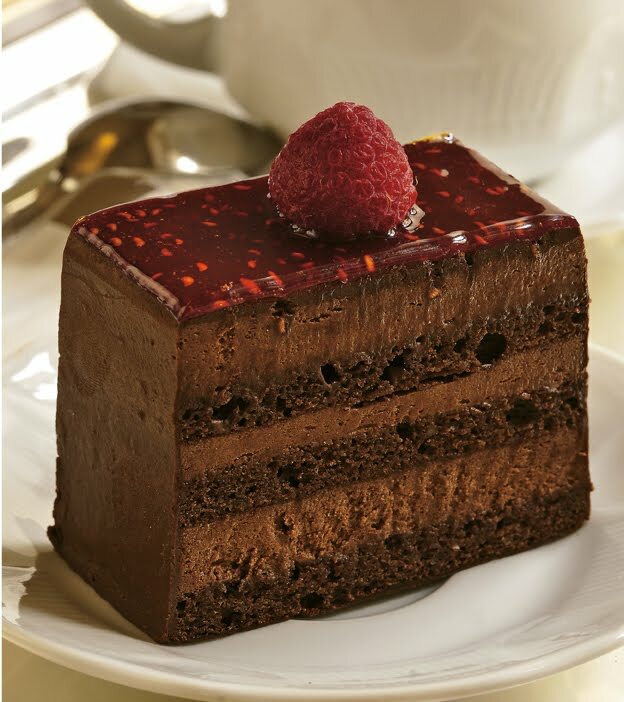 French friends are never counting calories when they’re enjoying a fine chocolate cake. Their enjoyment and appreciation adds to the pleasure. The book is a traveler’s inspiration, dream, and guide. ‘Paris Patisseries’ showcases an extravagant array of desserts—macaroons, madeleines, éclairs, meringues, tarts, chocolate pastries, cakes, and more—each described in the context of its historical tradition, composition, and gastronomic properties. Chapters cover traditional cakes, contemporary creations, as well as chocolate makers and innovative cakes, macaroons and éclairs. When ‘Paris Patisseries’ arrived, I quickly looked to see if all my favorites were in it. What new discoveries should I visit when next in Paris? The book features twenty of Paris’s most highly regarded pastry chefs showing off their artful creations and sharing twenty-five signature recipes. 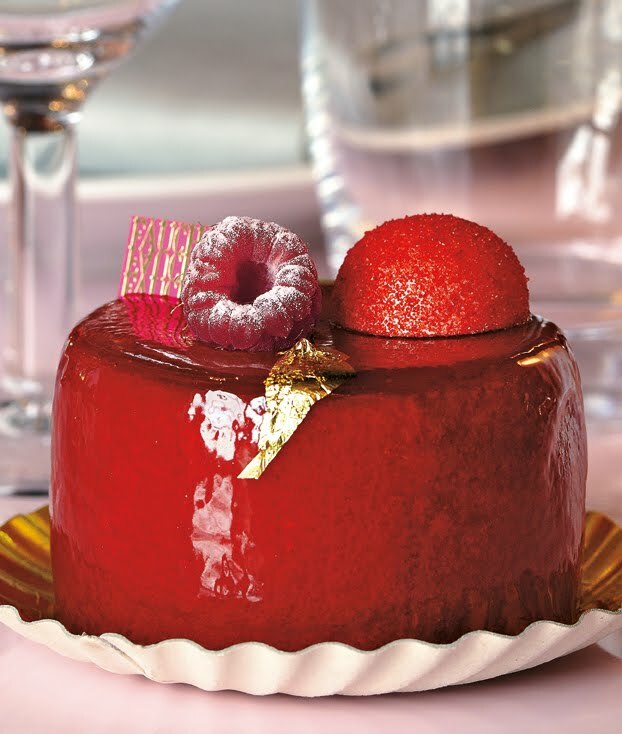 I don’t cook (I occasionally toast or steam—I don’t exactly consider that cooking) but reading Pierre Herme’s recipe for Ispahan Macaroons made me want to hire a pastry chef perhaps to make them. The elegant and delicate Ispahan has been a favorite of mine for years. It is a poetic creation of rose-flavored pink macaroons with a rich rose and litchi ganache cream filling, raspberry coulis, a ring of fresh raspberries, and a red rose petal on top. I could linger for hours nibbling on the crisp and fragile rose macaroon, which shatters with each bite, and the subtle rose and litchi ganache. Herme's sense of romance and perfection can be seen in the tiny drop of hardened sugar syrup placed just so on one side of the red petal. It looks like a drewdrop, or even a teardrop, so beautiful. I always save the teardrop until last. It is so exquisite—for a dinner treat or to eat in the Jardin de Luxembourg on a sunny afternoon. I see on the Herme recipe in the book that it ‘makes 72 macaroons’; enthusiastic cooks could plan to invite friends for a macaroon party, or plan to be eating them for weeks. 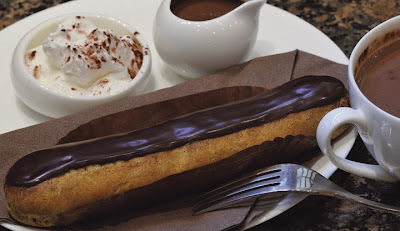 I stopped on every page to 'taste' every listing and enjoy each photograph of rum babas, vertical mille-feuilles, caramels, galettes, loaves, scones, financiers, and pistachio rolls and extravagant and surreal chocolate éclairs. A nimbus of piped whipped cream swirls around the ‘Religieuse’. Images also illustrate the interiors of each patisserie, as well as the historic as well as ultra-modern exteriors. A modern Tarte Tatin recipe is here in detail, along with a recipe for a Salted Caramel Tarte from the great Eric Kayser. I love the summertime treat, Cherry Clafoutis (from the super-talented Jean-Francois Piege who used to run the kitchen at the Crillion), plus Meringues with Chantilly Cream (Gerard Mulot). A Lenotre Strawberry Mascarpone Tart that includes ‘a pinch of sea salt’, and ‘a layer of white chocolate’ would almost make me want to…talk one of my friends into making it, just for fun. 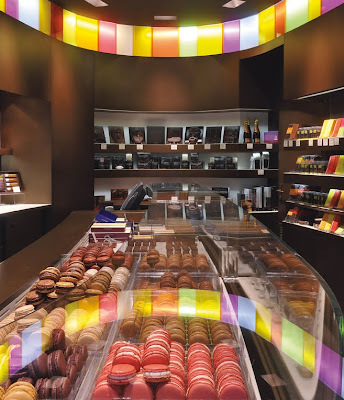 In the book I discover fascinating patisseries to visit when I am in Paris. In any case, just reading the recipes is like traveling back in time to a nostalgic childhood; one description calls for Cox’s Orange Pippin apples, a variety in my family’s orchard, and others call for ‘good quality orange blossom water'. Laduree offers orange blossom-flavored macaroons, along with caramel and sea salt, Mogador (North African-inspired, tastes like caramel or like molasses), and rose and the divine violet. Exotic, arcane, just like the best novels…and these take place only in the kitchen. Alchemy, in Paris. I love it. 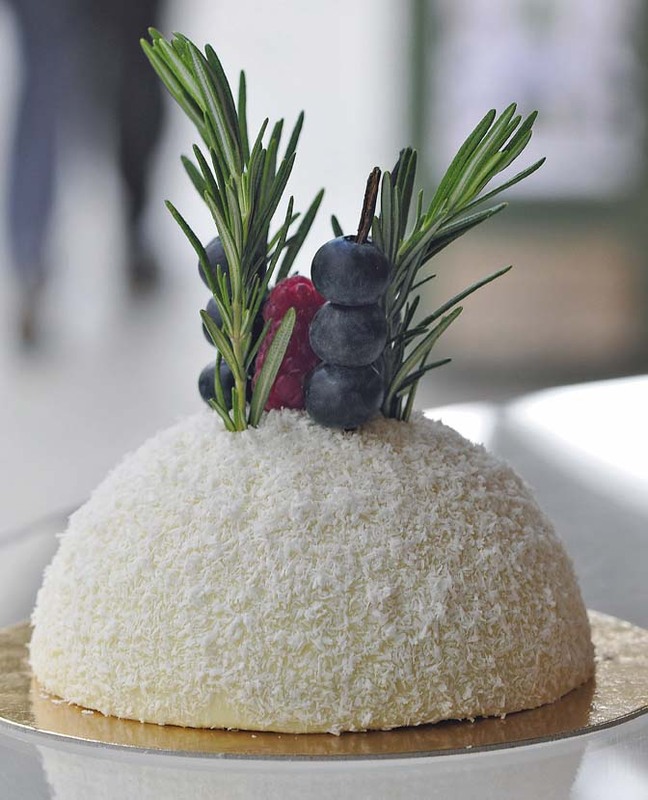 The evolution of pastry arts is explained, focusing on a new generation of Parisian pâtissiers and chocolatiers who are redefining their craft with unparalleled creativity and ingenuity. 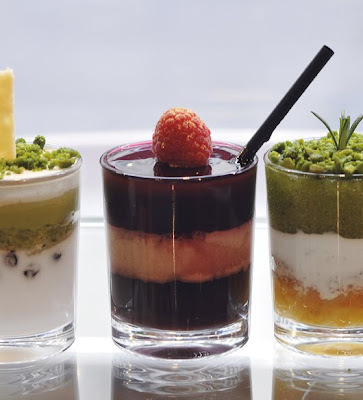 Also included are the addresses of the best patisseries and tearooms to visit while in Paris. 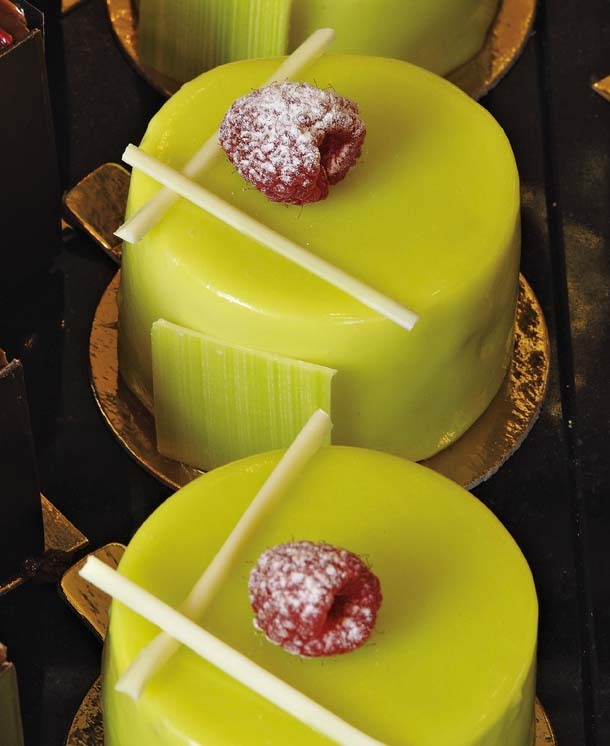 I’ll head over to the Marche d’Aligre for cakes and new-style mille-feuilles, and to Philippe Contacini for ultra-modern takes on Tarte Tatin, Paris-Brest, and mille-feuilles (only on Sunday). He’s on rue du Bac, on the way to Bon Marche. With this guidebook, I could spend a week tripping from one glorious confection to another. I’ll leave each one with a ribboned and wrapped prize (or two) to share with friends. Photography, Christian Sarramon, used with permission. 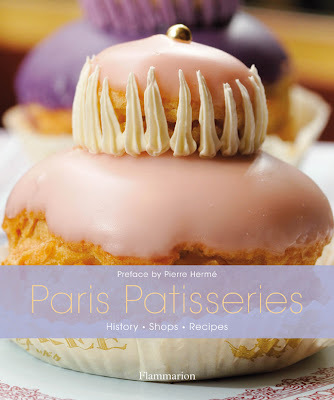 Paris Patisseries: History, Shops, and Recipes with a Foreword by Pierre Hermé, Photography by Christian Sarramon. Published by Flammarion Spring 2010. Included are names and addresses of the twenty top patisseries (many styles), as well as a useful list of books written by the pasty chefs. Diane, This is a most dangerous 'giveaway'. I am already too enamoured with the sweeter spots of Paris and would fall into even greater temptation with the turn of these pages. As for nominating a favourite post of yours - that is difficult - as they are all informative, well written and fascinating for those interior and travel junkies amongst us. I hope you are enjoying Paris, xv. Lord have mercy. Diane, this is a book I'll certainly seek out to purchase. Each page a delight. You could gain weight just looking at those gorgeous creations. Having been to several Salons de The and Patisseries in Paris, the opportunity to have some recipes is beyond wonderful! What is there not to love about Paris? 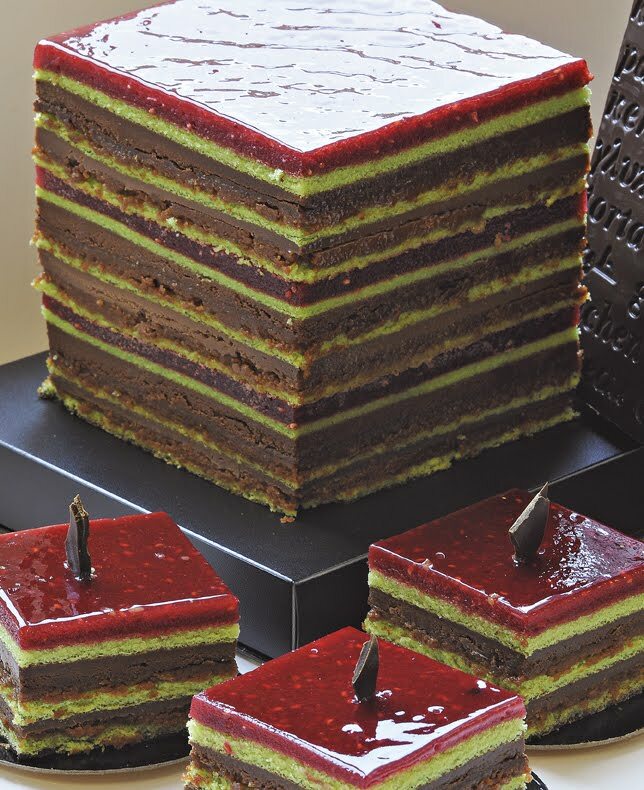 This book is mouthwatering-ly beautiful, a perfect gift for any occasion. How does one resist the deliciousness and sumptuousness of these delightful morsels? One simply doesn't! Thanks for bring back memory's of Paris Patisseries. When I'm there I zigzag back and forth from pastry shop to pastry shop eating my way thru Paris. Thanks for the introduction to such a Fabulous book. On my first trip to Paris, LeNotre was the most wonderful tea room. I had never dreamed such a place could exist. Thank the lord for the French! i realize these are little works of art but all i can say is YUM! Where to go in the whole, wide world to celebrate my "special" birthday? phenomenal, natural setting a "shock of luxury." 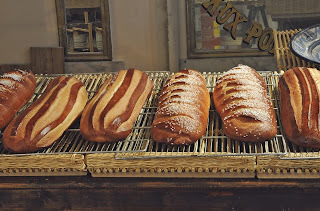 I can tell you I have, (totally without guilt and with much gusto)...eaten my share of these pastries, especially those of M. Herme, who is the greatest pastry artist. I've also eaten and enjoyed my share of Laduree's macaroons (I especially like the orange flower flavor, the violet flavor and the cassis macaroon). French people (Vicki, am I correct?) do not speak of 'guilt' when speaking of pastries. They are part of the social/convivial event that is dinner or lunch. French people tend to gather up multi-generations of their family for weekend dinners, Sunday lunches...and it is so charming to turn up with a box of macaroons, or with an amusing and artful cake from Pierre Herme or one of the other artists. All of the cakes and tarts and pastries are packaged with grace and charm. The whole experience is fantastic--especially the eating/savoring part. I've often taken one of these fruit tarts or cakes to a friend's celebratory dinner--and sometimes if I am out and about, I'll pick up a little tasty pastry or a couple of macaroons and vanish into the nearest leafy square, to the Palais Royal, or the Tuileries, to savor a few bites. Nothing finer. Birds, twittering, sun shining, and your mouth full of rose-flavored macaroon. I highly recommend it. DEE DEE-- Plan ahead and book at Amangiri as it has only 34 suites. You will love it--and be sure to book guided hikes with the Adventure Partners guides. This was my favorite part of the visit. I did not leave the property. The hiking trails criss-cross the Amangiri land. Be sure to let them know you are celebrating--they have a private wine cellar/dining room and the chefs are wonderful. Happy Birthday. What a fabulous new book Diane! The photos are stunning, and my hips are growing simply from looking at them. 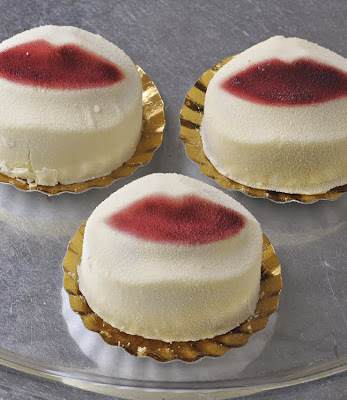 When studying culinary arts working in the patisserie was always my favorite. Cannot wait to see the book and its recipes. I was mesmerized by “Fields of vision” a magic evening at the Vervoordt’s castle near Antwerp, so vividly written that it was like being there, cashemere-lined gloves, champagne and all. HI Claudia--So you can add 'chef' to your considerable list of talents. That is wonderful. I look forward to seeing you soon. Heather--Good Morning to you in Thailand. I am so pleased to hear from you in Phuket. Stay in touch. Happy you found me through the THE SKIRTED ROUND TABLE. Marvelous. Hello, Albarosa-so happy to hear from you. You are one of my original readers, so we can celebrate a year together. Very happy you liked the AXEL VERVOORDT feature. It has been one of the most popular. Love THIS book-one of the best on Paris patisseries out there in my opinion. so nice to see the lush photos again as a reminder of heaven on earth. “Henri Matisse at Villa le Reve” is delightfully captivating. Diane’s tour is so wonderfully descriptive; I could smell the lavender, see the palm trees and feel the breeze through the famous windows. This is the most delicious giveaway ever. I can almost taste the pastries through the pages. I can recreate all these pastries with out any problem. I can incorporate some of my Indian spices into Paris pastries. Love love Paris.